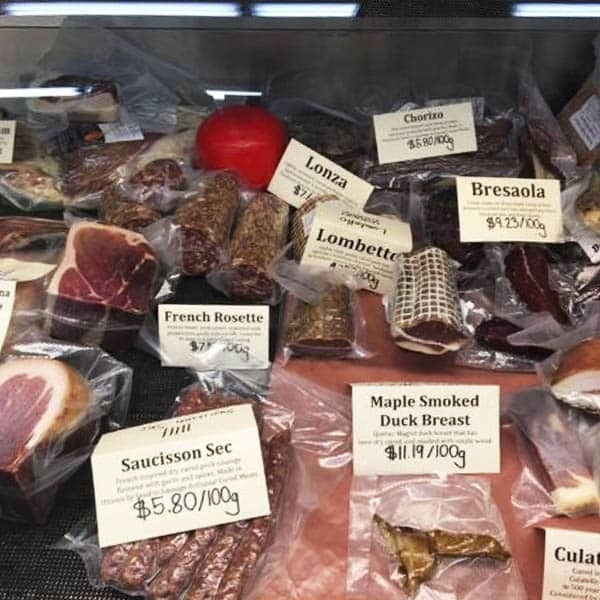 This store specializes in both international and Canadian fine cheese, as well as, other specialty items such as fine preserves, honey, chocolate, cured and smoked meats, caviar, mustards, sea salts, pickles, olives, marinated vegetables and crackers. Our focus is on only providing the best authentic products to our customers and we are continuously searching for more. We aim to work with as many local producers as possible whose philosophies on quality are first and foremost. Many of the cheese farms we purchase from are small family businesses with a strong desire to maintain tradition in their products. We are proud to be carrying our local cheese makers’ products as Thunder Oak continues to make great cheeses. Our team has had a long history working in the restaurant and food industry. 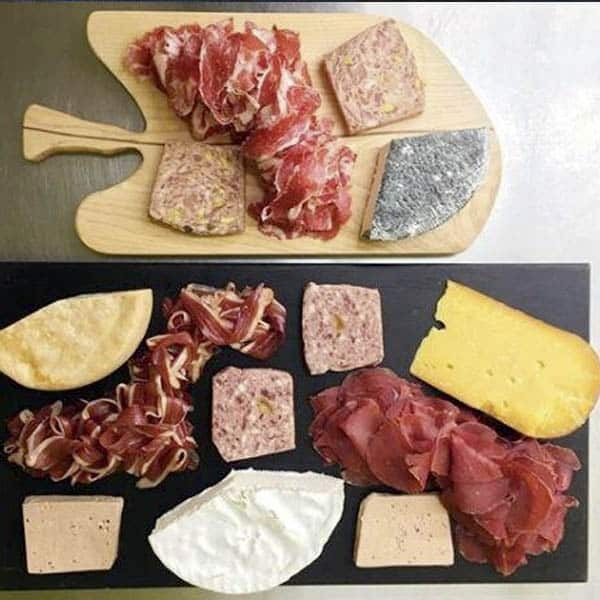 For many years, Doug has had the desire to open a formagerie, as sometimes it has been tough to source specialty cheeses for Gargoyles Grille & Ale, his other passion. When opening, we decided that we would do our best to carry items in the store that would be unique and not readily available in Thunder Bay while maintaining a focus on uncompromised quality. Our cheeses can be found on many restaurant and catering menus in Thunder Bay such as Gargoyles Grille & Ale, Bistro One, Uptown Cut, Bight and Red Headed Chef to name a few. Daily we are assembling cheese trays and baskets for our clients so the presence of cheese can found at all their special events. We look forward seeing you in the formagerie so you can experience the true meaning of the word. Come enjoy a world of taste at The Cheese Encounter!